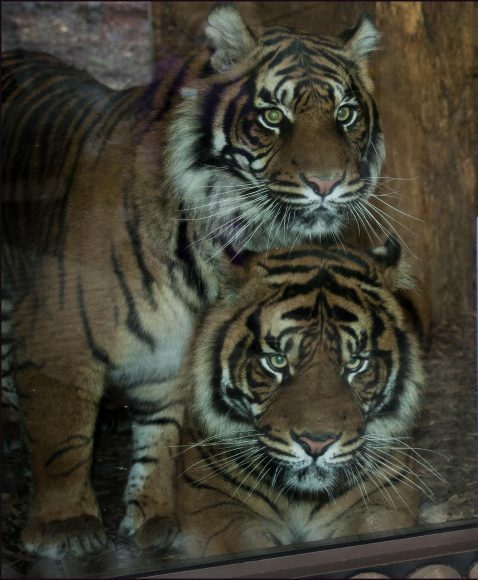 Sumatran tigers, Daseep and Joao, kept a very close eye on site contractors by watching their every move! 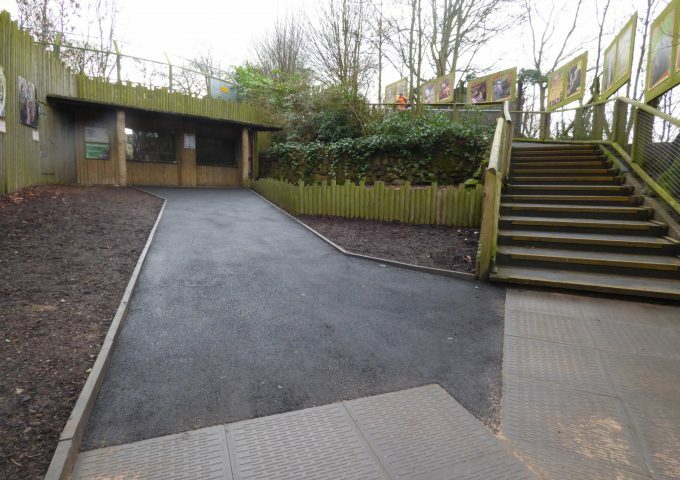 Workers have replaced the wooden walkway leading to their viewing window with a smarter tarmacked path, which is also less maintenance for staff. Previous: Bush dogs are back! Next: Jill’s put to the test!